This book is a long awaited clinical Epiphany. 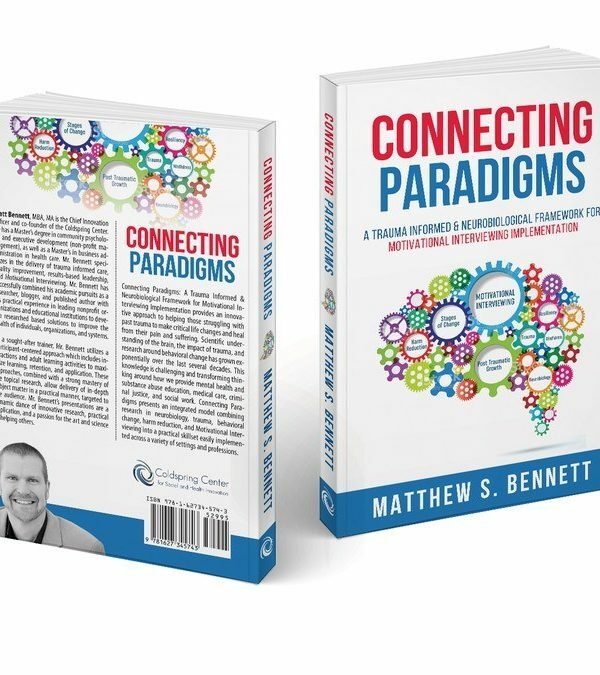 Reading Matt Bennett’s book Connecting Paradigms: A Trauma Informed & Neurobiological Framework for Motivational Interviewing Implementation will make you feel like every single clinical pearl you’ve ever learned has come together in the most beautiful and utilitarian necklace. It pulls the chord all the way from neurobiology class through motivational interviewing, all with a foundational philosophy of harm reduction. In my pursuit of learning to be a healer, helping others do the same, and appreciating my own personal process, I hadn’t yet encountered such a concise, practical and all inclusive approach. Many of us have gone to trainings, filled out CME papers that asked ‘how will you use this in your practice?’. What Matt has captured in this book is our practice for guiding others and ourselves through the journey of recovery from trauma. Two-thirds of people in your community experienced something that potentially results in decreased life expectancy, cancer, HIV, poverty, incarceration, domestic violence, and homelessness. The experience at the root of all these social and public health issues is psychological trauma. For some, trauma is an event that causes temporary pain and suffering and, if provided the right support, eventually results in increased levels of resiliency (Centers for Disease Control and Prevention, 2016). Unfortunately, most people experiencing homelessness, extreme poverty, mental health struggles, incarceration, and addiction never had an opportunity to heal and recover, resulting in a life dominated by the pain and suffering of trauma. Just as we should not blame the person for having trauma inflicted on them, we should not blame them for the behaviors, mental health issues, medical issues, and social struggles resulting from traumatic experience if we do not get them the help they need to recover. Our challenge is to help those people in a way that stops the pain and gives them an opportunity to live the lives they deserve. Overdevelopment of survival areas of the brain comes at a cost as the areas associated with emotional regulation and cognitive ability weaken. An unfortunate effect of being in traumatic relationships and situations is that people establish a relationship template believing that all people are potential sources of harm. The good news is that if someone with compassion and patience can build a healthy relationship with the individual, the brain can heal and relationship templates change as the client sees that not all people are bad and out to hurt them (Nakazawa, 2016; Ogden, Minton, & Pain, 2006). Unhealed trauma becomes a biological injury. The brain adapts to survive traumatic situations and high-stress environments. While this adaptation promotes survival, the person will struggle with activities necessary for success in academics and employment. Without the right type of assistance, the neurobiological impact of trauma often results in behaviors and ways of thinking and feeling that keep people stuck in unhealthy situations. A basic understanding of the brain demonstrates the devastation of trauma and why trauma can negatively affect a client’s ability to realize the life they want to live (Nakazawa, 2016; Ogden, Minton, & Pain, 2006). Delivered upon the foundation termed the Spirit of MI, MI delivery focuses on creating partnerships, evoking the expertise that lies within the client, accepting that the client is where they are in life and working from that point, and approaching our work with compassion. Utilizing the Spirit of MI, its strategies provide an ideal intervention for those struggling with past trauma. MI is a best practice which helps reach through the pain and suffering of trauma and supports the client in a way that promotes change and healing (Miller & Rollnick, 2012; Murphy, 2008). “Losing one’s mind” is a real consequence of trauma. The neurobiological damage of trauma makes it difficult for people to control their emotions and behaviors. People struggling with homelessness, extreme poverty, violence, addiction, and other intense issues face making many changes to improve their situation. Those helping them need a strategic way to assess where to begin conversations around change. Understanding how the mind can gain control of emotions and behaviors is a critical step in the journey to change and healing. Stages of change provides a structure to conceptualize the change process and implement interventions that help client effectively navigate their change while avoiding common pitfalls that can lead to disengagement and resistance (Siegel, 2016; Schwartz & Begley 2002; Prochaska, DiClements, & Norcross, 1992). The greater the client’s engagement in their change and the services designed to help them accomplish their change, the more likely they are to achieve positive results. Unfortunately, many traditional approaches diminish engagement, lead to resistance, or, even worse, results in people dropping out of services altogether. MI uses four communication approaches, open-ended questions/statements, affirmations, reflections, and summaries to build and maintain engagement and strengthen the helping relationships. These approaches are simple to learn and implement and are utilized heavily in all the strategies presented in the book (Miller & Rollnick, 2012). Motivational Interviewing and trauma-informed practices rely heavily on the trust and safety established between the client and us. Due to the pain and suffering inflicted on the client during traumatic experiences, building trust and psychological safety are difficult. To make matters worse, many people are in precarious physical situations due to experiencing homelessness, domestic violence, food scarcity, and community violence. Without trust and safety, the brain will focus on ways to best promote short-term survival, which comes at the expense of focusing on changes that would improve their condition in the long-term. Building trust and safety necessitates integrating trauma-informed approaches that promote both physical and psychological safety. (Bloom & Farragher, 2013; Bloom, 2006; Stanley & Brown, 2012). Past suffering, lack of safety, unhealthy relationships, and the inability to see a better future all diminish a client’s ability to focus on their change and future. MI and harm reduction are two approaches that help both us and the client focus attention on things that will eventually result in long-term change. Meeting the client where they are at in life, realizing that a client is not the embodiment of the sum of their problems, increasing safety by reducing harm, and taking a nonjudgmental approach are strategies of harm reduction, MI, and trauma-informed approaches. These all promote the client’s ability to focus on more than just their survival (Miller & Rollnick, 2012; Marlatt, Larimer, & Witkiewitz, 2012; Roe, 2005). The practice of mindfulness is changing traditional views of the healing process and leading to breakthroughs in psychology and other related fields. In the book, mindfulness is presented as an activity and set of skills that help heal the traumatized brain and support the change process. While the research behind the benefits of mindfulness is substantial, many in the helping professions have struggled to introduce and practice mindfulness with the people they are serving. As a complementary tool to MI, mindfulness strengthens neurobiological processes that promote healing and change (Langer, 2009; Parnell, 2008). The motivation for change comes from within the client. Each client is an expert on themselves and their situation. The success of any change comes out of this expertise. 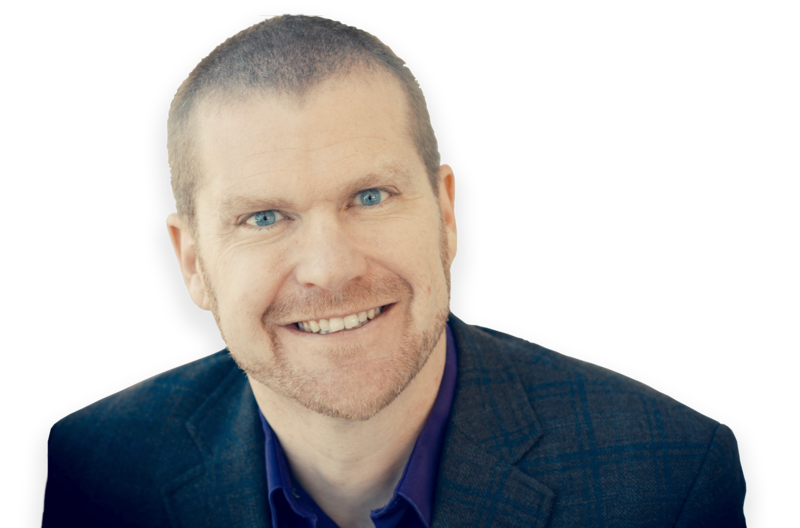 The more a client talks about a change, the more likely that the change will happen. MI provides a set of approaches that elicit talk about a change in a way that helps people progress through the stages of change. These approaches allow people to explore their desire, reason, and need to change, while at the same time, building their confidence that they can make their change a reality. Motivation builds through this exploration, eventually leading to action (Miller & Rollnick, 2012). Mindsight is a deep level of insight into a client’s situation which brings forth motivation for action. Mindsight helps clients see their ambivalence, wanting more than one thing when those things are incompatible, concerning their change. While ambivalence can feel uncomfortable, this feeling creates a type of stress called cognitive dissonance, which occurs when a client realizes that they are living a life not aligned with their values or morals. Cognitive dissonance creates motivation for meaningful change as the client attempts to alleviate it from their lives. The last aspect of mindsight is to move from cognitive dissonance to motivation and towards a pathway forward eliciting hope for a better future. Put together, the steps of mindsight are potent tools for transformation and change (Siegel, 2011; Dweck, 2006). A plan is a set of actions and tasks that help a client move out of their current state into a better future. Few people in stressful situations possess the ability to plan in isolation. Assisting clients to create goals and objectives to improve their safety, reduce stress, and change their condition is central to the process of healing and change. While planning can seem simple on the surface, implementing it in accordance with MI, harm reduction, and trauma-informed approaches requires skill and thought (Miller & Rollnick, 2012; Stanley & Brown, 2012). Overcoming the pain and suffering of trauma is an opportunity to gain resiliency, strength, and wisdom. This transformation is called post-traumatic growth. Everyone’s journey to post-traumatic growth is unique which challenges those helping them to find the right mix of support, strategies, and resources. One change leads to another and another; confidence builds, futures become filled with hope and lives are transformed. The journey to post-traumatic growth for many is lengthy and requires overcoming difficult barriers, but the result for the client is nothing short of life-changing (Siebert, 2005).